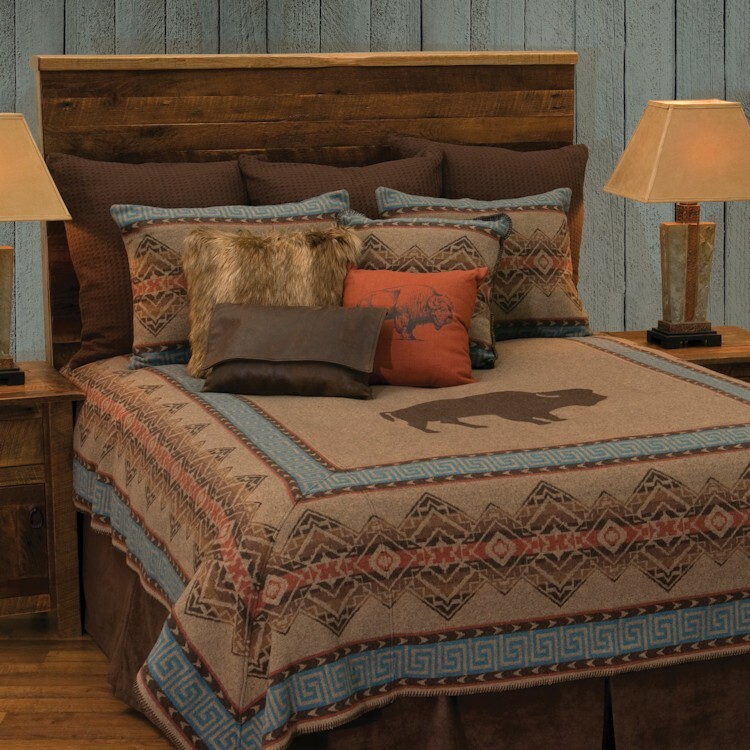 The Bison Ridge Bed Sets feature a handsome bison surrounded with geometric shapes in shades of spice, blue, and natural earth tones. 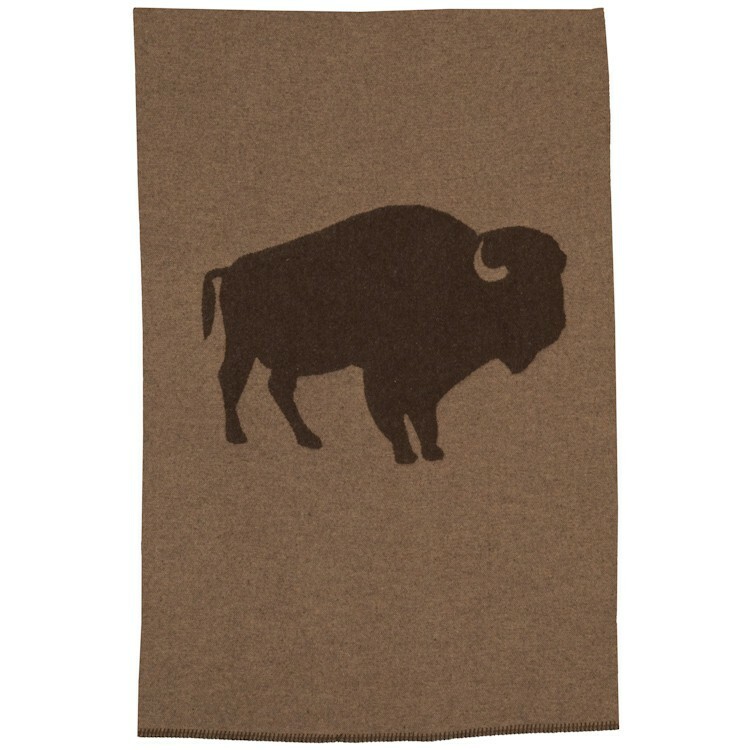 The ranch style blanket cover features decorative buttonhole stitch edging. 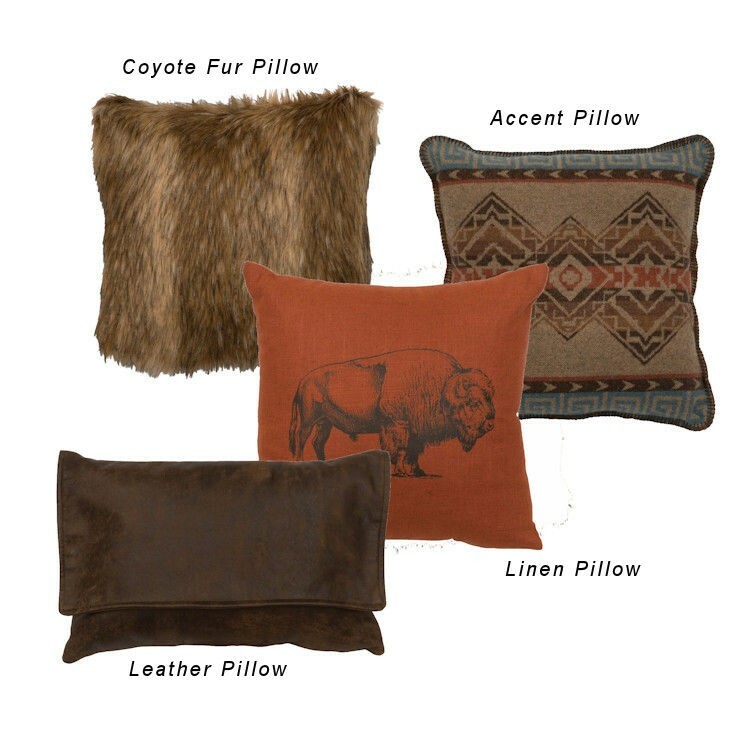 The pillows sham echoes the pattern of the blanket cover and the texture of the tailored faux suede bed skirt gives the bedding added dimension. 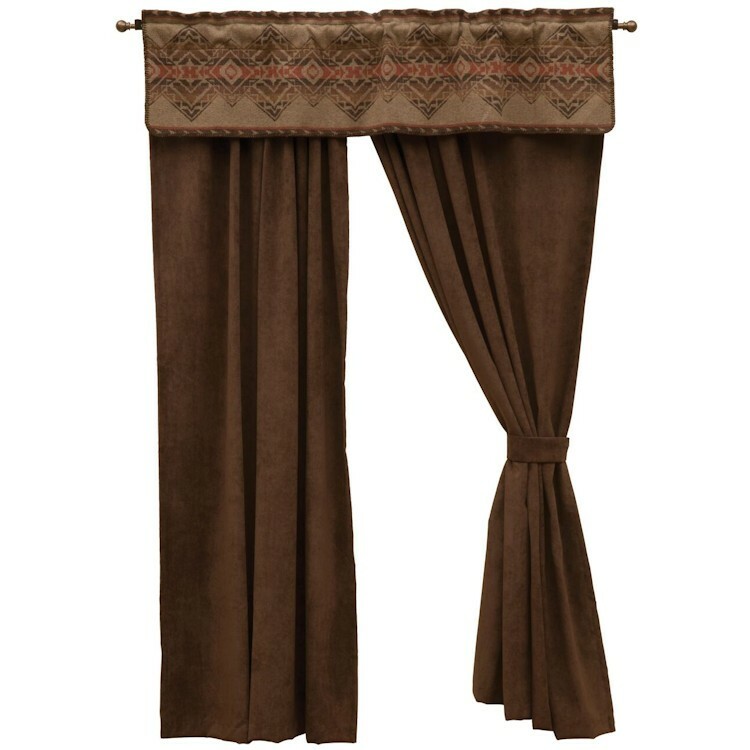 Three chocolate brown textured euro shams are included with each deluxe set.